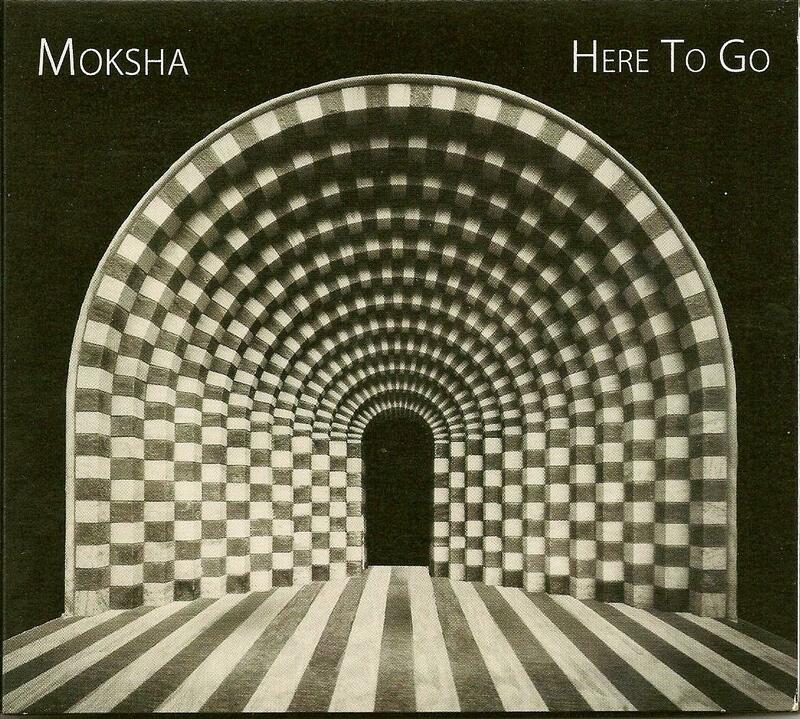 Moksha - "Here To Go"
The Seed and Awaken My Love are stellar examples of Moksha's flair for jazz-funk pop songs. They have a 70s feel, a full potent horn section, soulful vocals, and The Seed has some killer ripping wah'd guitar leads. The old Allman Brothers spirit is alive on the jazz infused country-rock instrumental Into Thin Air. Starswarm features rocking Prog-Pop with an R&B edge. I love the combination of screaming guitar solo against that awesome horn section. Really interesting fusion of styles on this one. Fruit Of Tulum is an instrumental with a Grateful Dead and contemporary jam band groove, and a Spanish inspired pop melodic mid-section. The radio friendly Real Show reminds me of a funkier R&B flavored take on the early 70s Chicago sound. Even the fluffier pop songs have infectious hooks that I couldn't ignore. Then there's a couple of tracks that go in a different direction and may be why this CD was submitted to a space rock publication. Having become accustomed to the Moksha sound, Bubbles took me by surprise. Following a brief intro of crazed Sun Ra sounds and spaced out swirl, the band launch into a rocking Prog assault with a bit of an Ozric Tentacles-like electro pulse. Its wild hearing the spacey bits alongside classic 70s Prog organ. Things get tripped out funk rocking, and there's all kinds of killer 70s keyboards sounds and occasional alien electronics. Wow, lots happening on this instrumental and quite different from the rest of the album. Entranced is another instrumental that explores Kosmiche realms, having a spaced out ethnic groove that's not unlike Korai Orom. And while it also gets into more characteristic Moksha funk territory, it's all got a floating psychedelic feel, with cosmic keys and colorful soundscape bits. And Sampling The Sampler is a potent finale to the album which rocks hard and the dual guitar-piano jamming is inspired. LOTS happening on this album!